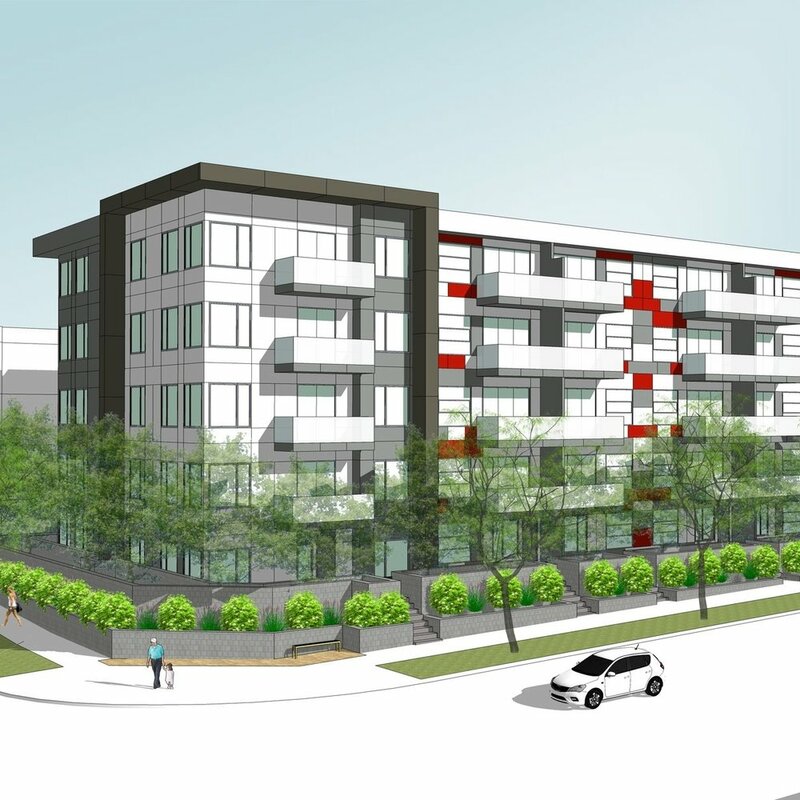 The project is located on Grosvenor Road in the community of Bolivar Height within Surrey City Centre. The development is a five storey wood frame building with two levels of underground parking. It consists of 125 condominium units ranging in size from 502 SF to 1,111 SF and offers one bedroom, one bedroom + flex, two bedroom, two bedroom + flex & three bedroom units. Ground level units feature individual entrances accessed via the street through private patios. Over 3,000 SF of amenity space is provided including a generous landscaped outdoor residents garden featuring a community garden, children’s play area and outdoor seating. A landscaped public corner with seating has been located at the north west corner of the site that provides public space for the community.